As the fashion magazines are full of fetish-inspired clothes, shiny leather goods and saucy accessories, my home made clutch bag was born exactly at the right time. 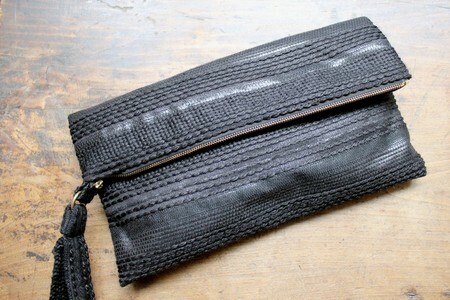 You can soon find a limited edition of these clutch bags in my Etsy store. 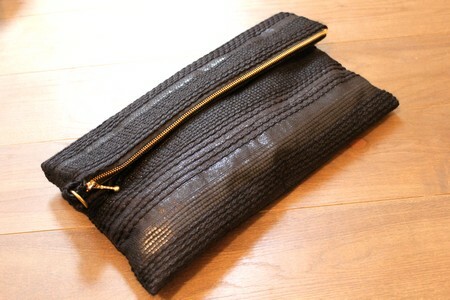 With my clutch bag I’m wearing a dress by Helmut Lang, Bianco shoes and leggings from H&M.